There is a lot online and even on my website about sticking to something, being persistent, being consistent, and more. I am not detracting from that at all. I cannot detract from it, because I am a shining example of being consistent, and persistent gets you to lead your ideal life. That’s what life is all about. Keeping on going on the path that makes sense for you, and sticking with it, UNTIL, it doesn’t make sense anymore. And then tweaking your path, and moving to something that makes more sense for you. It doesn’t mean that you bang your head again and again against something that is so obviously not working for you. 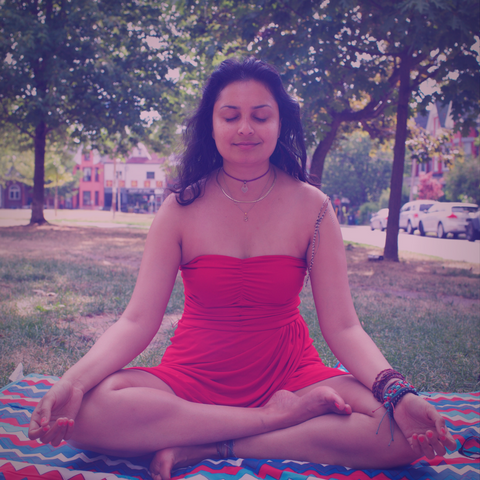 When I tell myself I have to be consistent with my meditation practice, I am consistent with it, because it has been proven to me time and time again that meditation works for me, and makes me a better person overall. It has been proven a thousand times over, and I’m sure that will be the case until I die. But, when I tell myself I have to be consistent with something else, like a job I dislike or hanging out with a person that drains me, because that’s what good girls do… Or that’s what is the nice thing to do… Or that’s what other people are doing, or whatever. Then that’s foolish. That’s me being brain dead. Or going on automatic pilot. As human beings we have this thing, where we don’t want to seem stupid. We don’t want to say that we loved something one year, and the next year, we hated it. It makes us come across as fickle, perhaps. Flexible is the word that I like to use for myself. Because of my flexibility in figuring out what works for me, in trying out a million different things, I’m standing here in front of you. Living the life that I have always wanted to live. Living in a manner that works for me for now. But that doesn’t meant that this life will work forever and ever. It works for now. This is something I want you guys to remember. Because human beings have this tendency to stick to something if it worked before. Well, if it ain’t broken, don’t fix it. Heard of that adage before? It’s a lazy person’s adage. It takes much more effort to be smart about it, think about it, and change course on something that isn’t working for you. It is much easier to keep on going on the same path if it has worked in the past, or is mildly working for you in the present. The harder thing to do is use all of those billions of brain cells that are sitting around in your head waiting to be used. Use them, think about what is working, and what isn’t working, throw out what isn’t working, replace it with something that might work. Experiment. Change course. Learn. Course correct. Keep on moving. Keep on changing. Be like a shark who has to keep moving in the water, otherwise it will die. If you are alive, you are going to have to change course hundreds of times in your life. Maybe a relationship worked for the first few years, but it’s gone stale now. Change course on how you hang out and spend time with each other. Maybe a job worked for the first few years, but now it’s time for you to try entrepreneurship or something else. Change course, and apply to new jobs or start your own dream business. It’s all about being awake. AWAKE. Very easy to be on autopilot in this world. Unaware. Unsure. Asleep. Time passing by as if it were nothing. Time passing by as if it were water. You are not dead yet. And thus, you are going to have to keep on changing course, changing directions, moving paths, and going different places. Something you were so excited about in the beginning is starting to feel stale. Don’t curse yourself. It’s not your fault. It’s a sign for you to tweak it or try something new. Don’t ignore the sign. Take it and run with it. Like the wolves.